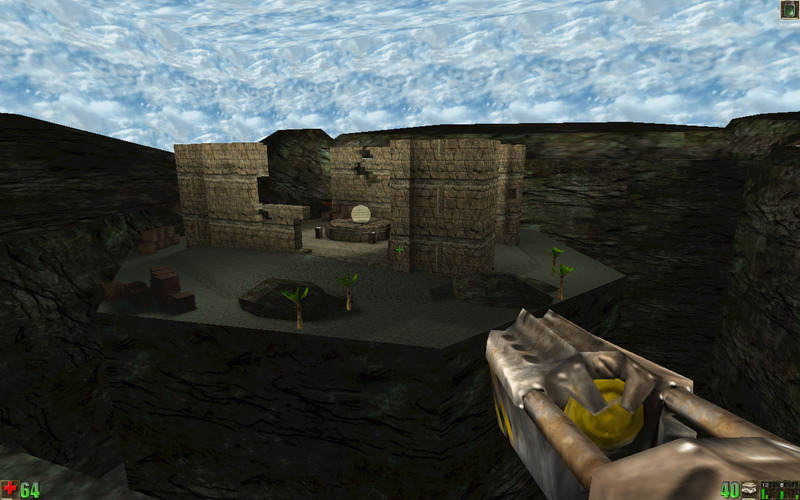 Marty Howe was not at all new to single player mapping at the time Unreal was released on May 22 1998. 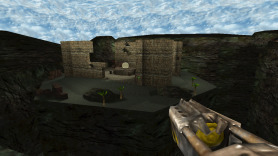 He had already had several Quake 1 and Quake 2 mapping projects behind him, so it took merely a month after the release of the game to get to grips with UnrealEd and complete his first map for the most modern game engine of the time. The result is, well… another Quake map, apparently. There is no better way to describe it. The complete lack of light sources (ambient lighting only! ), static skybox (which is visibly a box really) and even static water surfaces are the most memorable characteristics of this masterpiece. It is so unique in its own ridiculous way that it is actually interesting to have a look at it. This topic contains 0 replies, has 1 voice, and was last updated by Archivist 20 years, 10 months ago. This is the auto-generated forum topic dedicated to The Once Great Temple.